Remember when we announced that the guys behind the well-loved RPG classic Planescape: Torment were considering creating a crowd-funded spiritual successor? Well, guess what — it looks like they’ve already launched a Kickstarter page for the game which they’re now calling Project: Eternity and they’ve met their funding goal with a month left in the clock! Base game includes three races, five classes, and five companions. We have ideas for these, but we want to hear your opinions on whatyou’dlike to see. Stay tuned to Kickstarter, our website, and our forums to join in on the conversation. We’ve listened and we’ll make a Mac version of the game at this tier. We’re also going to add a new major storyline along with new quests, locations, NPCs, and unique loot (special histories everyone?). Get your own house in the game that you can customize, store equipment in, and where your companions hang out, or, as the elves say, “chillax”. 2.2 million, a new Region, a new Faction and another new Companion! And, dare we say it… ? LINUX! Great news, everyone! For the Tarball Knights of Gzippia out there, we’ll be adding Linux support! PayPalis coming asap. Please be patient! 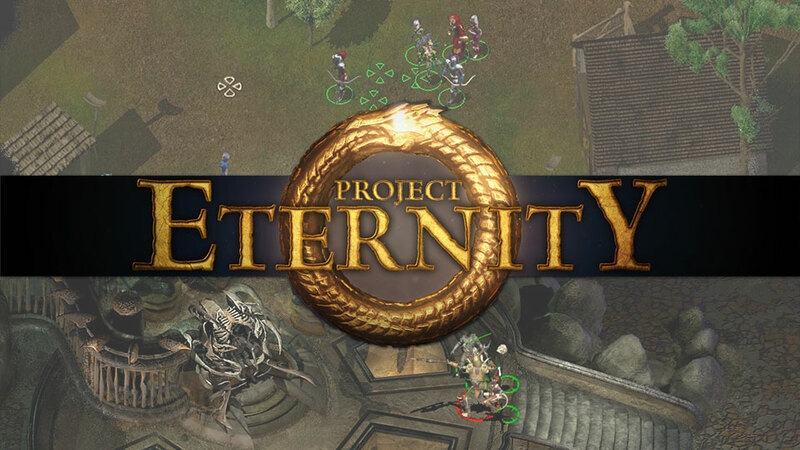 Looks like we’ve got so many people eager to get their hands on some old-school RPG gaming as things are moving really fast with Project: Eternity. To date, the project has already secured over 36,000 backers pledging close to $1.5 million dollars. Amazing! Be sure to check out Project: Eternity’s Kickstart pagefor more details. We’ll also have more news on this dream project for you as soon as it’s available, so be sure to visit Tapscape regularly!